Everyone's favorite fuzzy monsters will be educating on consoles worldwide. Warner Bros. Interactive Entertainment recently announced a deal with the Sesame Workshop to develop games based on Sesame Street. The games will be educational, just like the television series which has over four thousand episodes under its belt and has been going strong since 1969. Specifically mentioned by Warner Bros. were "preschool console games" that would mix Sesame Street characters with "particular types of curriculum." There weren't any other age groups mentioned, so as of now we aren't going to see anything that kids above the age of five would want to play. No specific details have been revealed, so this deal appears to be in its infancy. I would think that Sesame Street videogames could also hit a slightly older target audience, but I suppose at a certain point kids may outgrow the program. I wouldn't mind seeing videogames similar to the Lego series that are appealing and educational for kids but also well made products at the same time. At the very least, I want to see some effort put into the Sesame Street games rather than them becoming another reason to throw up when you look at the shelves of the local videogame store. 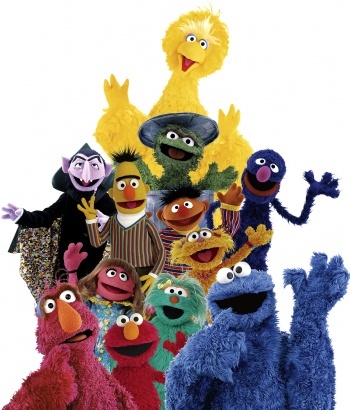 My ultimate dream would be to see a sandbox style game with Sesame Street characters, perhaps playing as Grover in his journey to become more than a second-tier character. If only you all knew how close he came to being "Tickle Me Grover," but Elmo swooped in a stole that spotlight. Snuffleupagus and Big Bird could give him missions. You could visit Bert and Ernie's house and settle the two's differences once and for all. You could eat cookies with Cookie Monster and count with the Count. Yes, my Sesame Street game would be amazing, but maybe not as educational as the Sesame Workshop and Warner Bros. plan to make theirs.